Check out our Featured, Previews for similar articles. This game will be take place in London, England. Both teams come into the game with 3-3 record on the season. 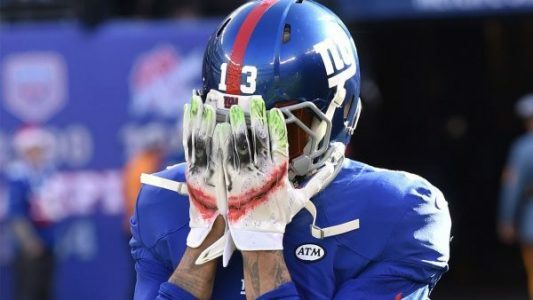 The New York Giants used a come from behind style to beat the Baltimore Ravens last week. It was the first game this season that Eli Manning and Odell Beckham Jr went crazy and led the Giants to a win. The Giants will look to keep pace in a very competitive NFC East. For the Rams, they are 3-3, after back to back losses to the Buffalo Bills and Detroit Lions. The Rams saw Kenny Britt catch two touchdowns last week. Look for the Giants to take many of their frustrations out here and win this game easy. The bet to make here is the New York Giants over the Los Angeles Rams. This is a big game. This is a game where Carson Wentz and his Philadelphia Eagles will take on their former teammate Sam Bradford and the unbeaten Minnesota Vikings. The Eagles traded Bradford right before the start of the season to make way for the rookie out of North Dakota State. Philadelphia won their first three games of the season, but have dropped two straight. The Minnesota Vikings are the lone unbeaten team in all of the National Football League. Don’t expect the Eagles to put a dent in their record. The bet here is the visitors, Minnesota Vikings over the Philadelphia Eagles. Two teams out of the NFC West will get together, as the Arizona Cardinals will take on the Seattle Seahawks. This is going to be a great game, and could decide who the winner in the division is. The Arizona Cardinals have won two straight games after their tough 1-3 start. The Cardinals are coming off blowout wins over San Francisco and the New York Jets. For Seattle, they remain one of the top teams in the league. Seattle and Dallas appear to be the class of the NFC right now. Look for the home team to get the best in this game. The final bet for this game is the Arizona Cardinals -2 over Seattle. There is a look at some of the best games in the National Football League for Week 7. Enjoy the games, and best of luck with all your NFL betting.